One thing I’ve learned in 10 years of marriage (and I’m doing these until tomorrow) is that marriage is one very long, hard, difficult, grueling, impossible, miraculous journey to me submitting to my husband. Whether you are a Christian or not, marriage only works with the 2 becoming one in some way. Think about it, how can any solid partnership happen without two entities or beings coming together on some form of common ground. Many times it takes one or both giving up something for the common good of the partnership. In the Christian community there is this huge emphasis on wives submitting to their husbands and I totally understand why a lot of women Christian and non struggle with this. In my religious community I have seen many men take this for granted. While they sit around and are only thinking of how the women can “serve” them, all the while the woman is being totally ignored. Her needs not being met at all. While churches preach “submission” not too many preach “and men love your wives as Christ loved the church and GAVE HIMSELF UP FOR IT!! !” Hallelujah!!! They also do not preach Ephesians 5:21 “Submit to one another out of reverence for Christ.” Let me stop, because this post is supposed to be about me and women….I just could not help myself. When I was dating, one night I came home late from a date (I lived with my parents until I got married…don’t judge me…) my dad was sitting up waiting for me as he always did, chilling in his easy chair. I walked into the room where he was and he looked at me with this really intense look. I was like, “What’s up daddy?” He simply said, “Nika, what are you doing? Why are you wasting your time on these guys that are just not right for you?” I explained how strongly I felt about the guy and that I knew God could make him right for me and all this other GARBAGE. 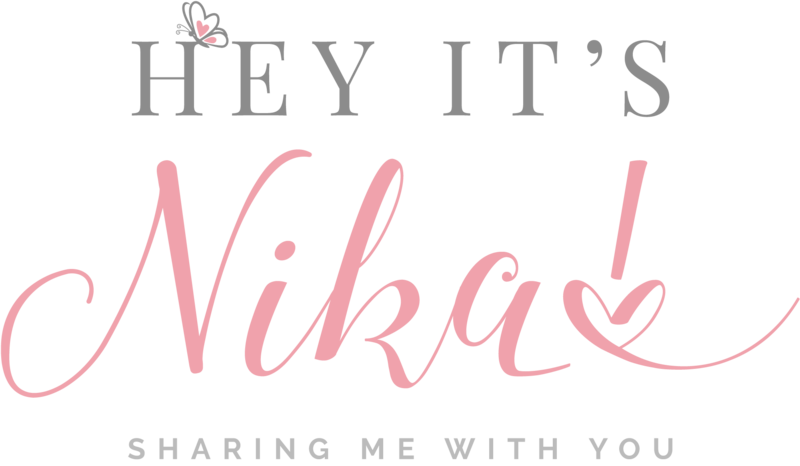 He said one simple thing that changed my process of dating, “Nika, you have a strong will…like your mother. Submission is NOT going to be easy for you at all. Even with a really good man, submission is NOT going to be easy for you. You should at least date and marry someone who you respect…who does need your ‘help’. It will make submission less of a burden for you.” OMG! Isn’t that so deep?!! He then went on to say, “Nika, God’s call on the woman to submit has no disclaimers. It just simply tells women to submit. Yes, men have a huge responsibility too, but women are called to submit and if you marry the wrong one it will be even harder to follow what God calls women to do.” Now some of my feminist friends are probably ready to curse me out, and that’s ok. In fact, I think my life shows that I in no way am a weak woman that a man can walk all over so hopefully you will read this within the context of who you know me to be. Anyway, I am a Christian…a BIBLE believing Christian, and even in my feminist/strong woman nature, at the end of the day, I desire to obey God and the teachings of his WORD, however in my choosing a mate, I had to make sure I waited for a man who would on the one hand celebrate my strong and independent nature and who would use his role of leadership in a Godly way, not as a way to oppress me or use it for selfish gain. Jesus did NOT oppress anyone nor did He Lord his kingship over those who followed him. Damon Prather has always used his role as the head of this house to protect and love me. OMG! I love him! I remember after having Day, I was thinking of quitting my job to either become a midwife or doula. Damon told me “NO!” Oh I went off on him! When I started having children, by interest in working a traditional 9 to 5 disappeared. All I wanted to do was be with my babies. So I went through several years of trying to find other ways of earning income. Damon always said, “NO!” We were in the hospital, I was breastfeeding Day and the thought of leaving her, was tearing my heart up. So I made this grand announcement of what I was going to do. When Damon put his foot down, I told him off, “Why are you trying to control me! All you do is try to kill my dreams…” and so on. His sweet self sat down. He looked so frustrated, because it had been an ongoing battle. He then turned to me and looked me in the eye with those big brown, thick eyelashed eyes and said, “Babe, I am not trying to kill your dreams. I feel my job in this marriage is to protect you and these children and I just feel that you are making a big mistake. You are not finished your PhD. How are you going to quit all of your hard work and go to nursing school? You are an educator, and I think all these ideas are going to have you throw all you have worked for away. Plus I do not think it is healthy for the family for you to pursue an entirely new career. We are stressed enough as it is!” He had me at “my role is to protect…”I was done after that. Well, not long after that God allowed me to find a lovely job as a kindergarten teacher that had a preschool and nursery and all my kids and I went to work together. My classroom was close to theirs. My class did field trips with their class. I was in HEAVEN. It was stress free and it was during that time of being in the classroom again (after being a school leader for so many years) that God gave me the philosophy that is now at The Living Water School. AND, when I decided to start the school, my love was all on board. Submission is not about a man trying to control you while he treats you like crap and gets whatever he wants. In watching Damon live it out from a non-selfish and Biblical perspective I have learned that submission is basically women allowing the man to love, protect and have our back…to be the eyes when we cannot see a potential bad choice. I always tell Damon (it’s a running joke), “Don’t get it twisted…I’m letting you lead me…sike, I submit to you because I have so much respect and trust for you and I know that you are not trying to hurt or take advantage of me.” Submission means that you fully trust him to care for you and to encourage you to be the woman God has called you to be. In these 10 years of marriage, I will say that Damon has been the exemplary demonstration of servant leader to me and has truly loved me as Christ loved the church and he daily gives up his life for me and the kids. Submission has been hard and as Damon says, I am sometimes like a bull ramming the protective gates that surround me. Being controlled has always made me feel like I was suffocating, but Damon in his selfless love has shown me that wrapped in his protective arms of love, I am actually free to flutter about, while he is always looking after me. Next Post 10 yr Anniversary Cruise!